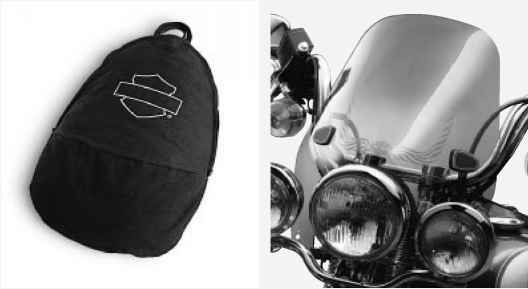 Manufactured to rigid specifications in the U.S.A. Also accepts various H-D luggage racks. Backrest pads sold separately. P/Ns 52094-00, 52095-00, 52786-84B, 52791-86A, 53843-00, 53004-98, 53374-03, 53378-03 and 53387-03. P/Ns 53810-00A, 53815-00, 53549-95, 53857-00A. Unique hidden Backrest Pad Attachment makes for ultra-clean look with pad removed. NOTE: Must only be installed on models equipped with Badlander Custom Seats. Backrest pads must be purchased separately. 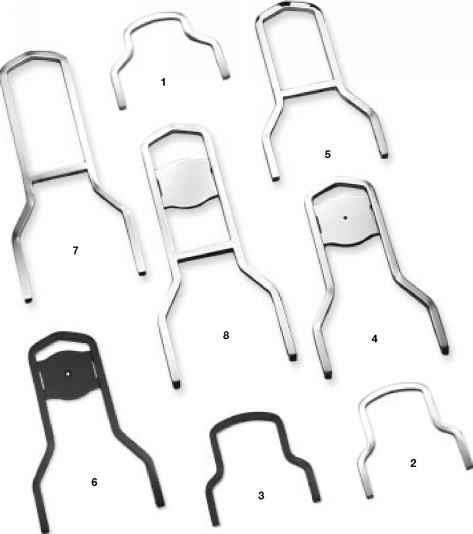 This Sissy Bar upright is lower than traditional low uprights and the hidden backrest pad mounting system allows for a sleek look when the pad is removed. 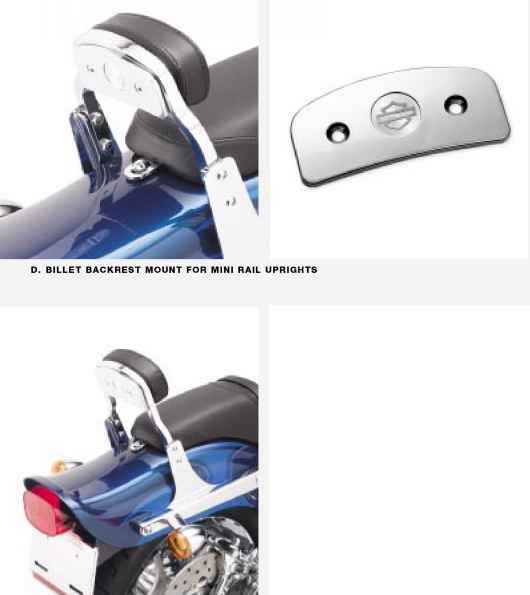 Give your passenger a rest with a Low Sissy Bar Upright equipped with your choice of Backrest Pad (sold separately). Let your passenger ride tall in the saddle with a Tall Sissy Bar Upright equipped with your choice of Backrest Pad (sold separately). NOTE: All black parts are painted with a special two-step urethane process with hardeners for a durable, glossy shine. As with any painted surface, care must be taken when using. 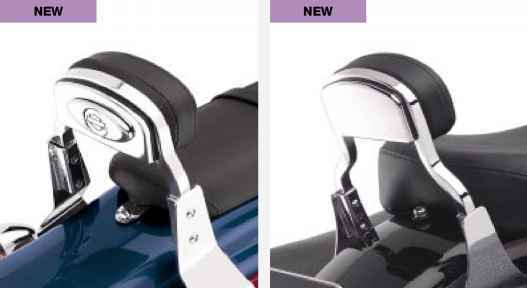 Chrome plated backrest mount with hidden fasteners. Allows the mounting of Sissy Bar medallions or can be used as is for a clean look.